Elyson House, the community clubhouse, is Elyson's crown jewel. Its design will likely remind some of Frank Lloyd Wright's most famous works. Its interior is modern, warm, and inviting. The Elyson Cafe is a full-service restaurant in the building and is a great place for residents to meet up for a meal or snack. Busy families can grab a full dinner for four to-go. Also in the House is Elyson's impressive fitness facility with plenty of cardio and resistance machines as well as free weights. There's also a playroom for younger children and a game room for kids of all ages. Elyson has 750 acres dedicated to amenities, parks, and greenspace, so there's plenty of room for outdoor fun. Regulation-size courts are available for basketball, tennis, pickleball, and bocce. Bicyclists, joggers, and walkers have nearly 30 miles of trails at their disposal. A surprise bonus of the trail system is that it connects to community orchards placed throughout Elyson. Residents have their choice of figs, plums, oranges and pecans. 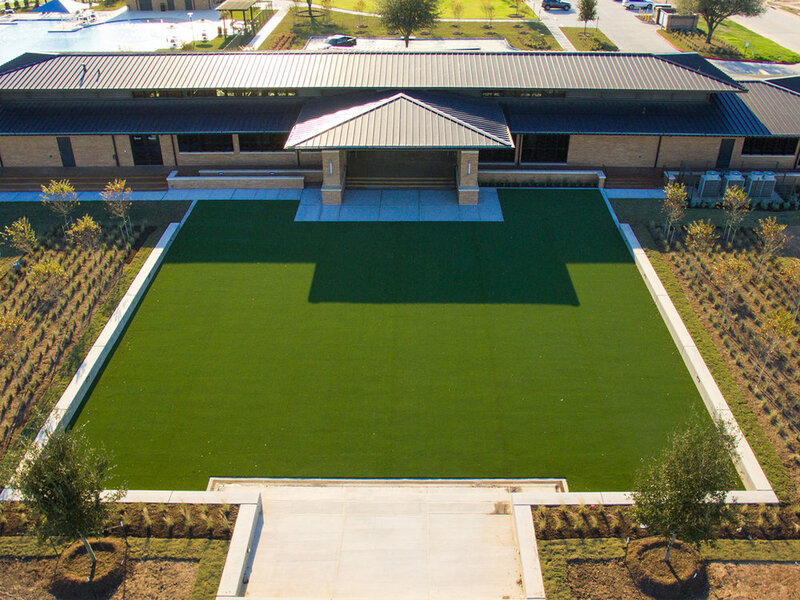 Your family will also love the academic advantage of the highly rated Katy ISD schools. 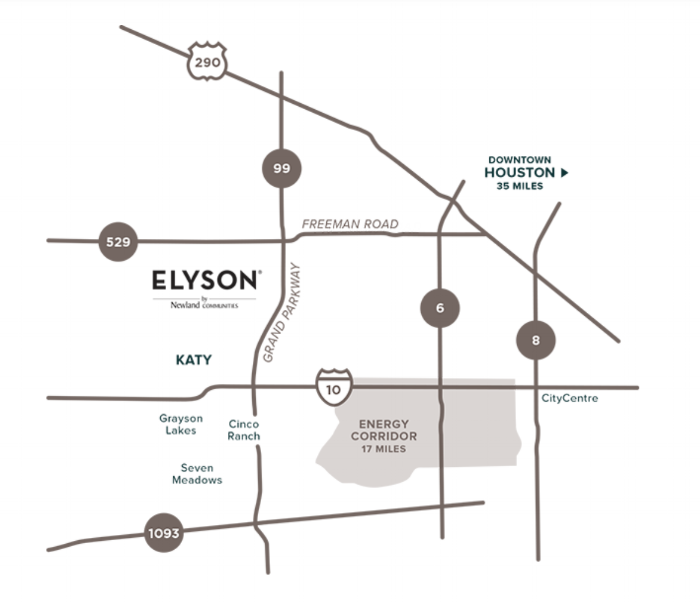 Elyson is conveniently located at the intersection of 529 and Grand Parkway, just ten minutes from IH-10 and an easy fifteen minutes to Highway 290. With several award winning builders to choose from, Elyson offers something for almost everyone.